Ajay E. Kuriyan, M.D., M.S. 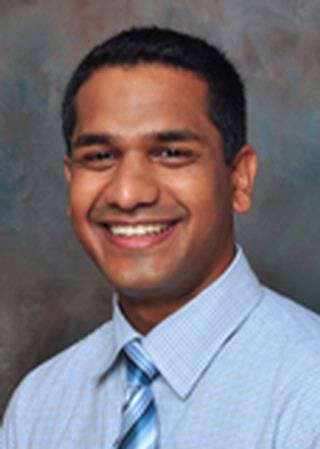 Ajay Kuriyan, M.D., M.S., is a American Board of Ophthalmology Certified retinal specialist. He is a graduate of the University of Rochester School of Medicine and Dentistry and completed his ophthalmology residency and retinal fellowship of the University of Miami's Bascom Palmer Eye Institute. Dr. Kuriyan's clinical interests encompass the medical and surgical treatment of retinal disease. Some of these include retinal detachment surgery, drug therapy for macular degeneration and other diseases, the treatment of hereditary retinal diseases, and the treatment of diabetic eye disease. As a researcher, Dr. Kuriyan has contributed to or authored more than 50 peer reviewed articles, textbook chapters, presentations and scientific posters. His specific research interests include the use and development of technology related to the earlier detection of retinal disease, the treatment of endophthalamitis and pediatric retinal disease. Dr. Kuriyan is a Heed Ophthalmic Fellow, a member of the American Retina Society, the American Academy of Ophthalmology and the Association for Research in Vision and Ophthalmology. "Clinicopathologic Correlations of Retinal Membranes Associated With Intravitreal 'Stem Cell' Injections." Ophthalmic surgery, lasers & imaging retina.. 2019 Feb 1; 50(2):125-131. Idrees S, Sridhar J, Kuriyan AE. "Proliferative Vitreoretinopathy: A Review." International ophthalmology clinics.. 2019 59(1):221-240. Venincasa MJ, Kuriyan AE, Sridhar J. "Effect of funding source on reporting bias in studies of intravitreal anti-vascular endothelial growth factor therapy for retinal vein occlusion." Acta ophthalmologica.. 2018 Sep 19; Epub 2018 Sep 19.